The little boutique style airline based in Florida, Silver Airways recently started a new service between Fort Lauderdale and Daytona Beach. The services makes it easier for passengers to connect the sensational Daytona Beach, the speed and excitement of the Daytona International Speedway, the Ponce Inlet lighthouse and the beautiful sea turtles of New Smyrna Beach with Fort Lauderdale, South Florida, the Keys, the family islands of the Bahamas and beyond. “New service between Fort Lauderdale and Daytona Beach is the perfect match, connecting two popular Florida destinations with a daily nonstop flight,” said Mark Gale, CEO/Director of Aviation for Broward County’s Fort Lauderdale-Hollywood International. To celebrate the new nonstop service connecting Daytona Beach and Fort Lauderdale, Silver is offering fares from $43* available at silverairways.com for a limited time for travel on or before January 31, 2019, for ticketing before January 31, 2019, as well as $59* fares for travel on or before May 22, 2019, for ticketing before January 31, 2019. In addition, Silver offers convenient connections from Daytona Beach beyond Fort Lauderdale to Key West and many popular Bahamian Family Islands, including Marsh Harbor and Treasure Cay in the Abacos, Cat Island, Eleuthera’s Governor’s Harbour and North Eleuthera, Freeport and George Town in Great Exuma with every day low fares from $107*. 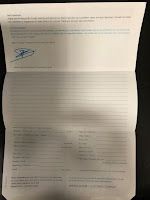 Silver also offers connections to a variety of destinations through its codeshare and interline ticketing partners, including United, JetBlue, American, Delta, Avianca, Azul Brazilian Airlines and more. 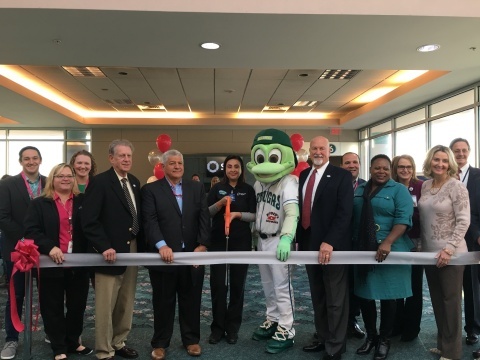 Earlier this week, Silver unveiled its first themed aircraft – “Tortuga One” – as the official airline of the MiLB baseball team Daytona Tortugas. During the reveal, Tortuga mascots Shelldon and Shelly joined forces with Silver team members as they showed their strength while pulling the Saab 340 from Silver’s Orlando maintenance hangar. The new livery of the Saab 340 aircraft features colorful joint branding, including a fierce Tortuga at-bat, the iconic Silver Airlines turbine and the Atlantic Coast airport. View the six-week transformation of “Tortuga One” carried out by more than 20 of Silver’s technical operations team members at Silver’s facebook page. Also, Daytona Tortugas Mascot Shelldon confirmed rumors circulating earlier this week about his proposal to Shelly, saying: “Yes, I’m happy to report that Shelly said yes! While we haven’t set a date for our nuptials yet, we can’t wait for our island-hopping ‘shellabration’ honeymoon in Fort Lauderdale, Key West and the Bahamas!” -- -- -- .